What if I told you that there were hotel marketing tools out there, that could save you painstaking hours of marketing your hotel. Would you be more interested to know that all of these tools are free. Thats right F-R-E-E, free!. If you are working with a budget, then that should be music to your ears. Saving money, and getting better results is kind of everyone's goal, right? Well, what if I sweeten up the pot for you. What if I told you that these tools can save you time too! If there was a way to help increase your bottom line, and decrease the amount of time doing it, wouldn't you want to know? I come from the land of marketing, where we are expected to do more with less, so I have tested all of these tools personally and I can vouch for them. That is why I have created this list for you. Please keep in mind that a lot of these resources are made available by Google. Luckily this is the channel that many hoteliers default to when starting their digital marketing efforts. This is generally a good thing because they process more than 1.2 trillion searches a day, making them the default place that searchers go to get their info. In this article/list, we are going to cover everything that you would need to get yourself off of the ground. In subsequent articles, we will cover more advanced tools to use after you get the hang of these. So without further adieu, here is the list. Before you start investing a bunch of time that you don't have, it is always best to see if an opportunity in digital marketing might be worth it. These 2 tools will help you figure out is this could be the right avenue for your hotel. Do you ever wish that you could predict the future? Well if one company has ever had a shot, it would have to be Google. Everyone knows that they are dominated by search, and Google Trends helps you to make use of their knowledge for your benefit. If you have a “great idea” then this is the first place that i would go to test it. You plugin your keyword and you can get historical data. This will allow you to see if something is trending up or down, to solidify (or disprove) your “great idea.” I’ve attached a screenshot for hotel/motel near me searches in the los angeles area to show you how this would work. As you can see, having a local marketing strategy should be a top priority at this point. This is one of the greatest tools (that are free) for ongoing research that I have come across. All you need to use this is an email address and you can get updates when something on the internet shows up for your given key term. You can use this to keep tabs on your hotel's competition. You can also use it to see what type of things people like to talk about on a particular subject. This site accepts the use of boolean operators to help refine what it is you are looking for. 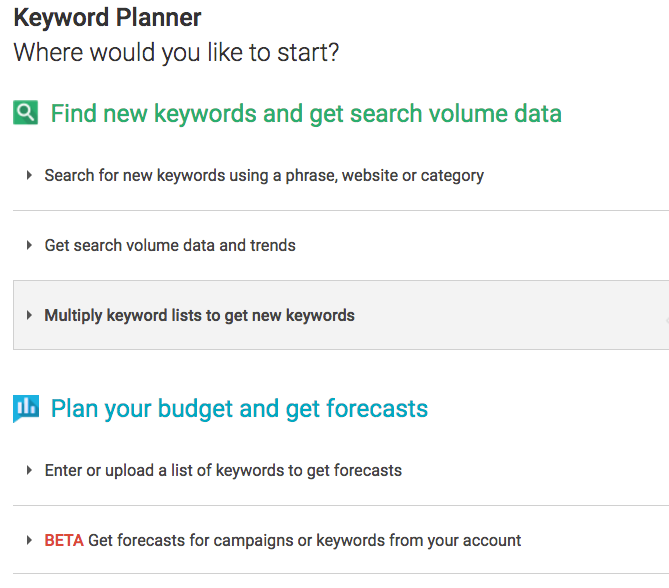 Even though google is now limiting access to its keyword planner data, this tool can still be a good gauge of the strength of a keyword. Its effectiveness will lie in the column that gives estimated bids for the keyword. Simply put, if a keyword is worth, more, then that means that there is going to be more commercial intent behind it. That coupled with the estimates on traffic make this a powerful tool to include in your arsenal. This tool pulls in autocomplete suggestions from all around the web. Looked at in a different light, this means that you can harness the power of each of these sites algorithms to ensure that you are getting the most relevant topical variations of the word that you are trying to target. Once upon a time, you could get away with just choosing a few well researched keywords and getting some killer backlinks, but those days have changed. The more technical aspects of SEO matter more than ever now. After you have chosen your keywords you need something that can show you what your competitors are doing, and what words they are using. This will help you to cut through the weeds to see what your site can beat the other hotels in. You cannot compete on every word, but by using MOZ Open Site Explorer (OSE), you can give yourself the best shot to succeed. If there is one tool that I rely on more than any other, it would have to be Screaming Frog. This is a one stop shop to make sure that the technical aspects of your websites SEO are all taken care of. Whether you are checking for missing alt text, or you are checking your search appearance, this tool can help you troubleshoot. If you do nothing else, make sure that you are using this tool from Google. It will help you optimize your search presence. There are even handy how-to’s to ensure that you are doing everything correctly. There are the free SEO marketing tools that will allow you to get started. They are not an exhaustive list, but with these tools, you can make sure that you are putting your best digital foot forward. Digital marketing is a marathon, and not a sprint. Once you have used these tools to their fullest extent, you can see where you need to invest more time, and or where you need to invest more money. A lot of the free tools will only get you so far, and at some point (if you want to scale, etc.) you are going to need to invest more in tools or outsource the work to continue to grow your online presence.